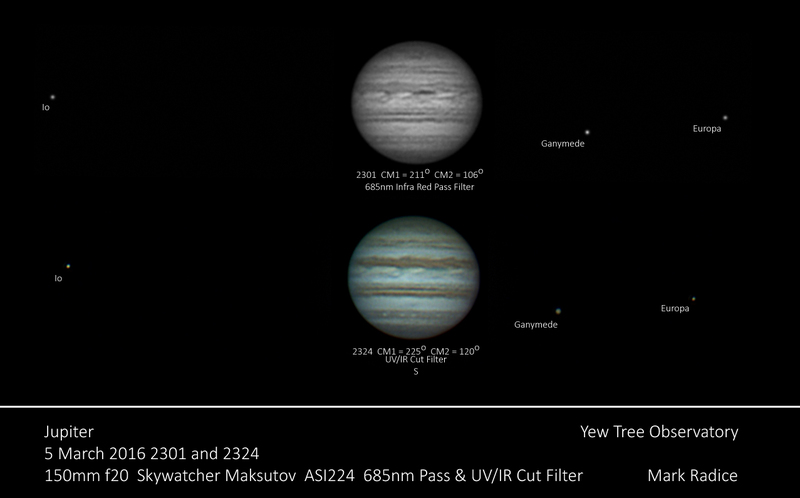 Rather than get up early, I decided to stay up late and watch Jupiter. Unfortunately, the seeing was cruddy and my eyes soon got heavy so I packed up early. I took some wider angle shots this time, using both the IR pass filter and the white light UV/IR cut filter, so I could capture the Jovian moons, fantastic!